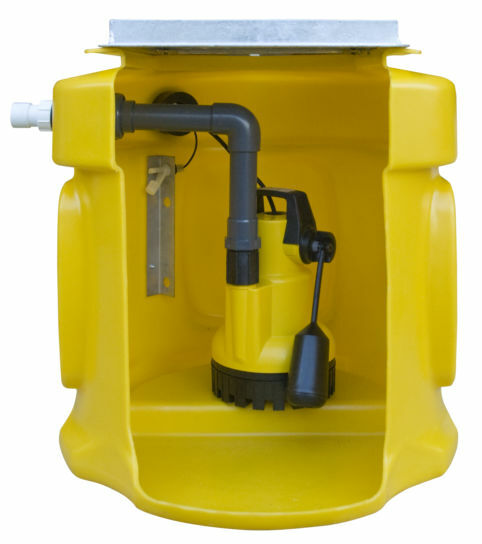 Basement sump pump water control system for use in cellar conversions. 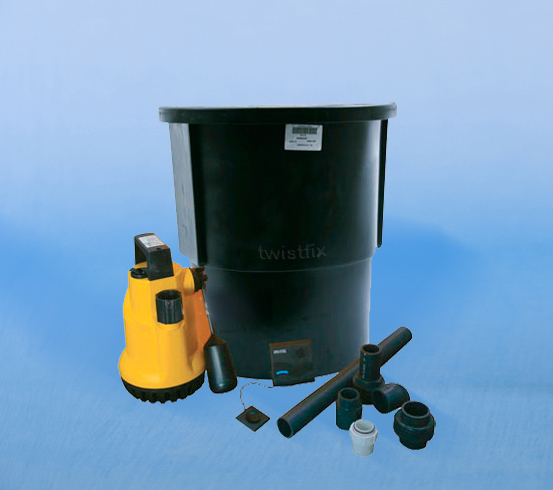 Large polyethylene sump tank with access cover, fittings bolts and seal. 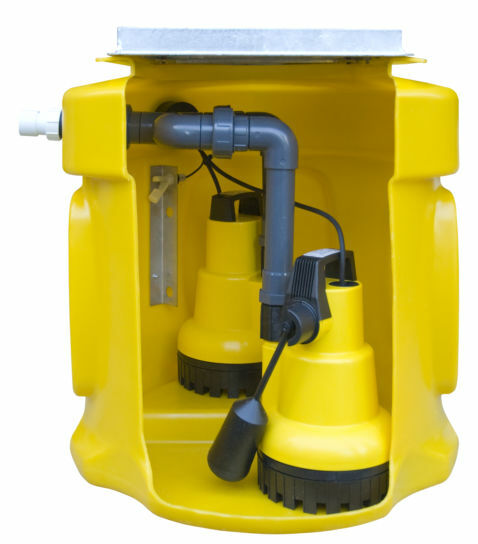 Heavy duty sump pump water control system with 2 pumps for use in basement waterproofing projects for the drainage of flood / groundwater from waterproofing membrane systems. 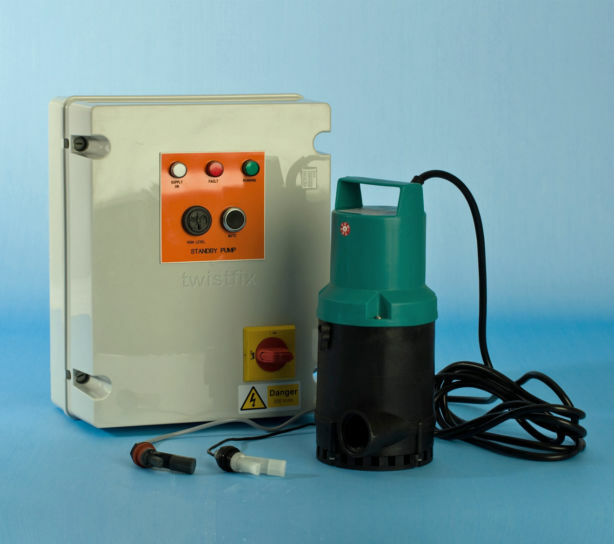 A battery powered back-up system for basement waterproofing membrane and drainage systems. 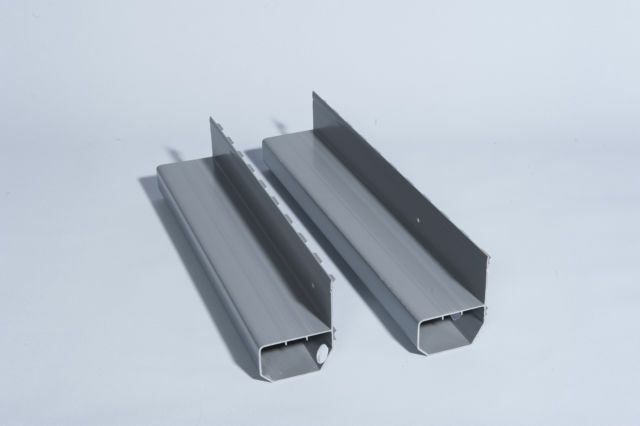 Imperative in circumstances where loss of mains power or pump failure could prove catastrophic.